There are 2,916 items available. Please enter a number less than or equal to 2,916. Awesome! Very happy with the purchase. Fast service, Great transaction. Thank you! I have been using squeeze balls to maintain strength, especially in my chording hand but this little device is much better for my purposes. i believe my grip is actually becoming stronger, and that's saying a lot for a 71 year old. I really like that you can adjust each finger piston for individual effort and the additional features are great. Highly recommended! 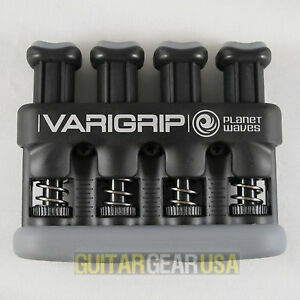 I purchased this in order to achieve more grip strength for playing the bass. I feel as though it has helped my grip strength in the short time I’ve had it. I will however, add a cautionary note. I feel that overdoing it, may potentially cause more damage (tendonitis, etc) than good. I guess like all things, it is best done in moderation. But overall, I do think this is a helpful product is used correctly. A must have for any stringed instrument especially violin. Very helpful to train your fingers for individual movements and strengthening.